I recently had a request for an image of Polyaspinus tuberculatus Womersley, 1961 and I realised that my Polyaspididae, I mean Trachytidae (current usage), were not in very good nick. 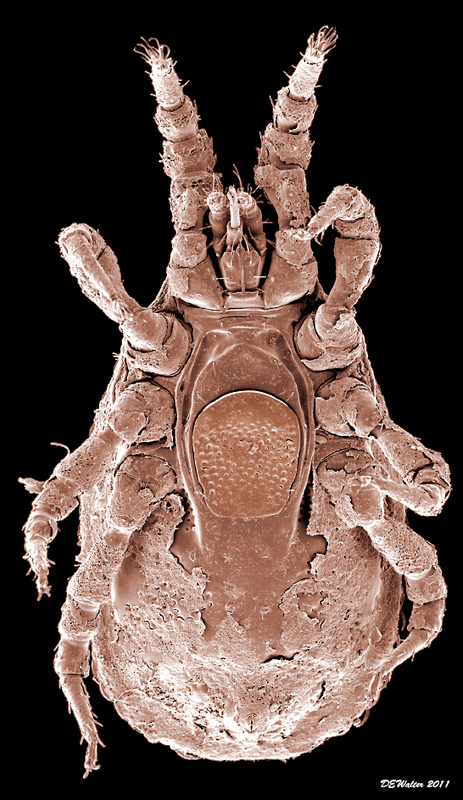 Actually, the mite in question is now Acroseius tuberculatus (Womersley, 1961) too. The short answer is that I do have images of what appears to be an undescribed species of Acroseius and also a probably undescribed species of Polyaspinus from Queensland. I also have an undescribed Polyaspinus from Alberta (no image yet) and a species of Trachytes that is probably described from Oregon. 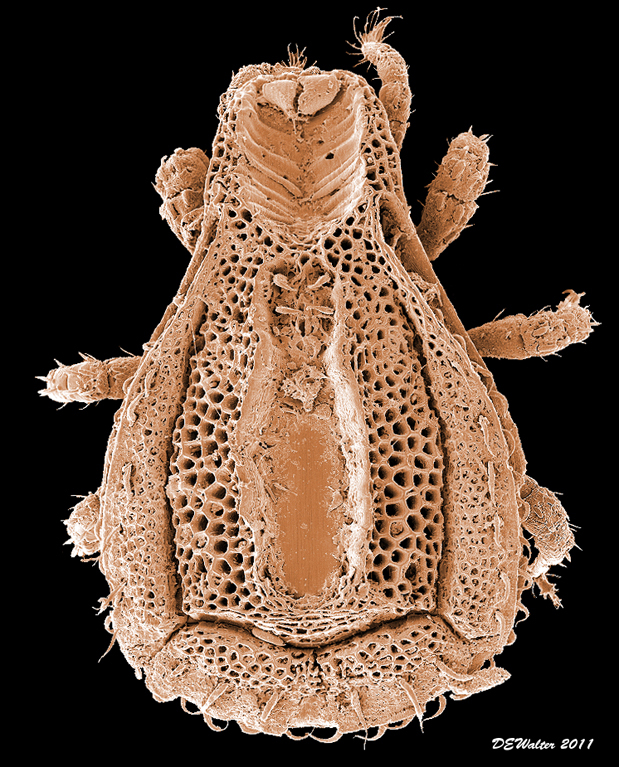 All of these mites are interesting for several reasons, but I will have to wait to post on that – I’m being dragged off on family duties. This entry was posted on June 5, 2011 at 9:57 am and is filed under Mesostigmata. You can follow any responses to this entry through the RSS 2.0 feed. You can leave a response, or trackback from your own site. Fascinating images. The first two seem to need exfoliation. I guess that’s where the ‘cerotegument’ comes in…looking forward to the next post. Excellent pictures ! Is there a way to get rid of this cerotegument to take better photos in light microscopy ? Thanks for your excellent blog ! My post on Polyaspinus !